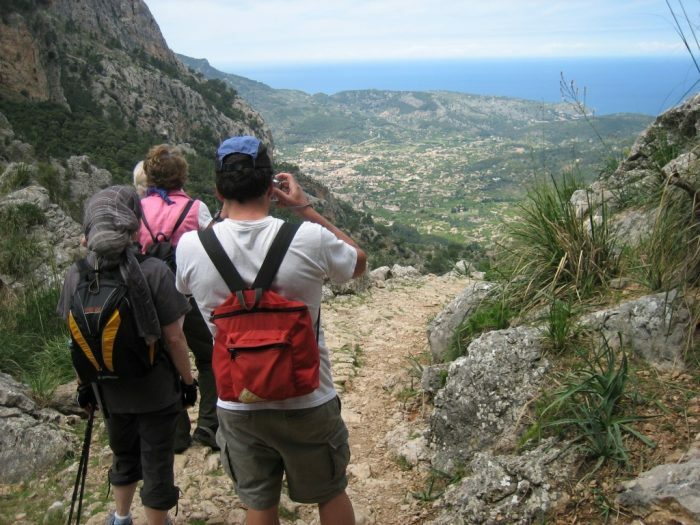 The central Tramuntana in Majorca off the beaten track is a walker’s paradise in the northwest, where the island is at it scenic best, far away from the crowded coastal resorts. 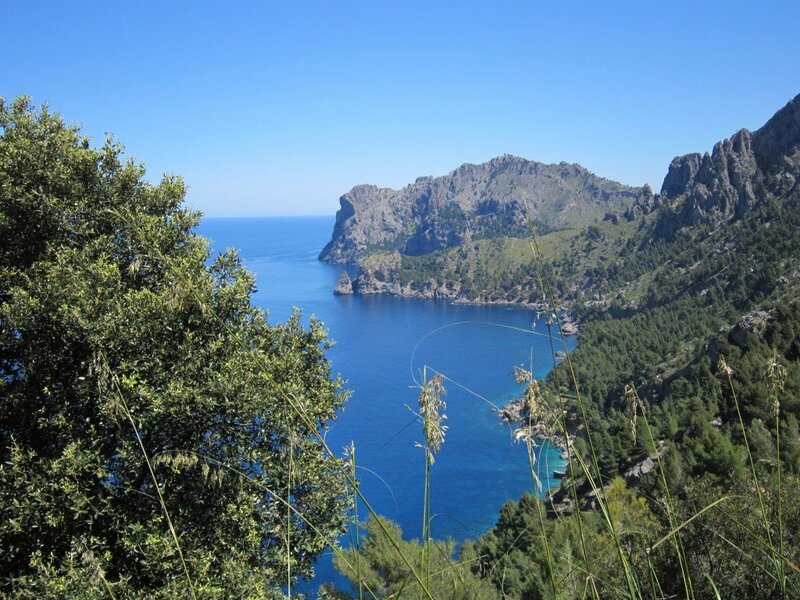 The central Tramuntana in Majorca off the beaten track is a walker's paradise in the northwest, where the island is at it scenic best, far away from the crowded coastal resorts. Staying in a delightful hotel in Sóller, you will discover Majorca's rural character as you follow scenic routes through picturesque landscapes, the air heavy with the scent of wild thyme and rosemary. 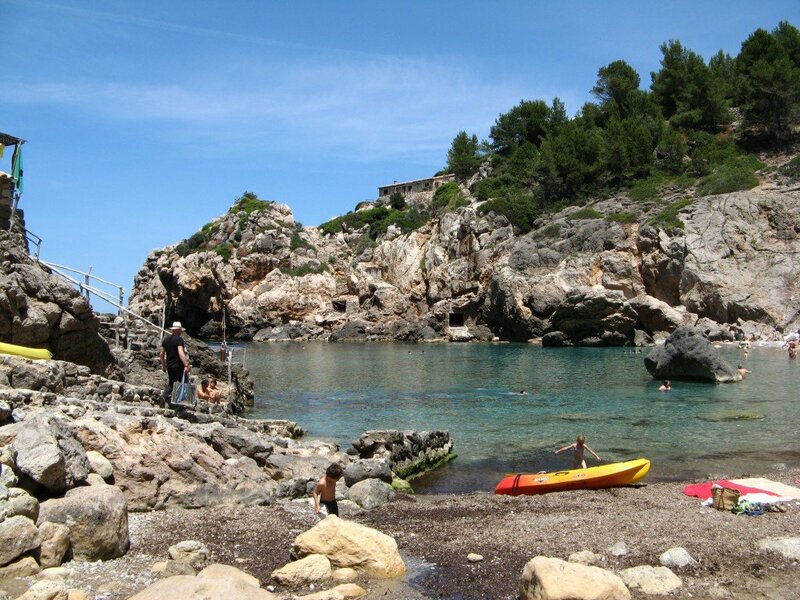 Sóller is easily accessible from Palma, 45 minutes by road or rail. 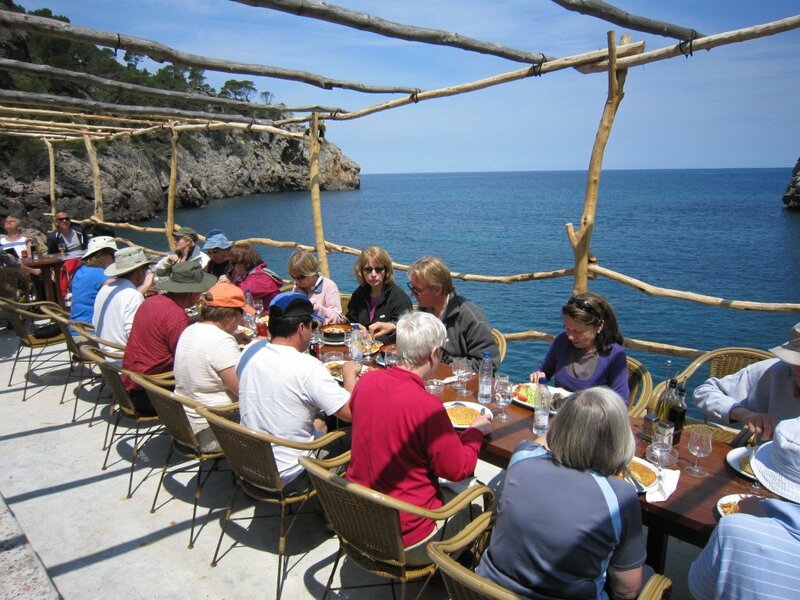 Guest reviews are written by our customers after their tour of Majorca off the beaten track. An excellent holiday which was very well planned by Country Walks. 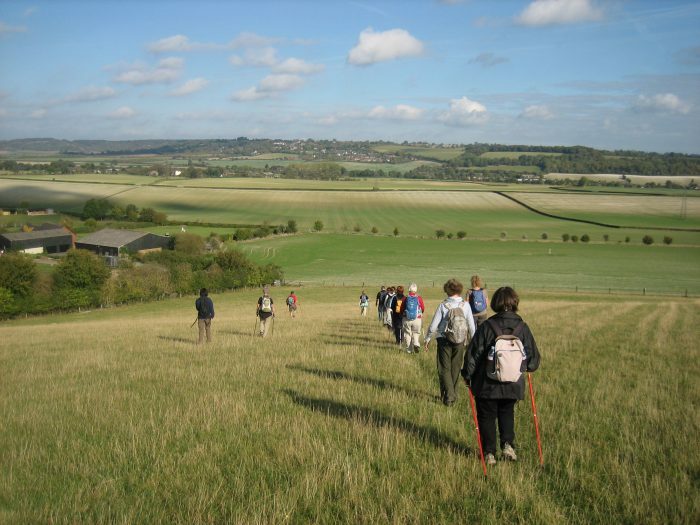 Beautiful countryside, and excellent walking thanks to the walking notes and supporting information provided by the tour company. The hotel Ca'l Bisbe in the evocative town of Soller was also excellent. We made extensive use of public transport which is cheap, reliable and serves most places of interest. The area is dependent on tourism. We ate at the local cafes and restaurants. The hotel has environmentally friendly policies. Transfer from the airport to your hotel by bus (a car is not necessary on this holiday). Enjoy a drink on the terrace while reading your walks pack before dining under the stars. A stunningly beautiful circuit, deep in the Sóller valley, among terraces of olive and citrus groves, surrounded by the island’s highest peaks. Visit a beautiful old town house where the same family has been pressing olive oil for over 300 years. Enjoy a freshly-squeezed juice before following quiet country lanes with splendid panoramic views to Fornalutx with its honey-coloured stone houses. 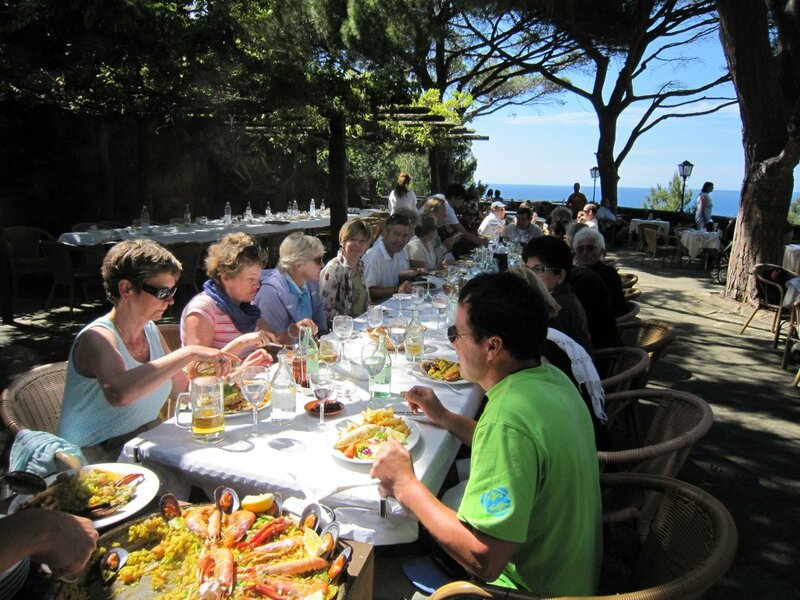 We recommend lunch at a lovely little restaurant with vine-covered terraces. Having explored the village, one of the most beautiful on Majorca, return to Sóller along centuries-old wayfarers’ routes. At journey’s end, after a drink at one of the the Placa d’Espanya’s colourful cafes, enjoy exploring this delightful little town. Take the bus to Deia, to this beguiling village, once home to the poet Robert Graves. There's an option to visit the excellent museum housed in his former home. Strolling through cobbled streets of pastel-coloured houses, explore twisted hidden alleys and descend to the picturesque bay of Cala de Deia for a swim. Nothing beats the seafood lunch here, perched on stilts above the water. Visit Valldemossa's magnificent Carthusian monastery whose cloisters were once home to the famous lovers Frederic Chopin and George Sand. Chopin described Valldemossa as ‘the most beautiful place in the world’. In the monastery you'll find the piano on which Chopin composed his famous Preludes. Our notes guide you round this enchanting village full of charming little streets filled with cafes, galleries and gift shops. The narrow streets and houses themselves are constructed of a lovely golden stone and each doorway and street is lined with beautiful green plants and flowers, making the village one of the most beautiful in Mallorca. For the Moderate option, we recommend following a magnificent circuit through holm oak woods to a mountain ‘crossroads’ to join the ‘Cami de S’Arxiduc, the creation of the Archduke Luis Salvador. 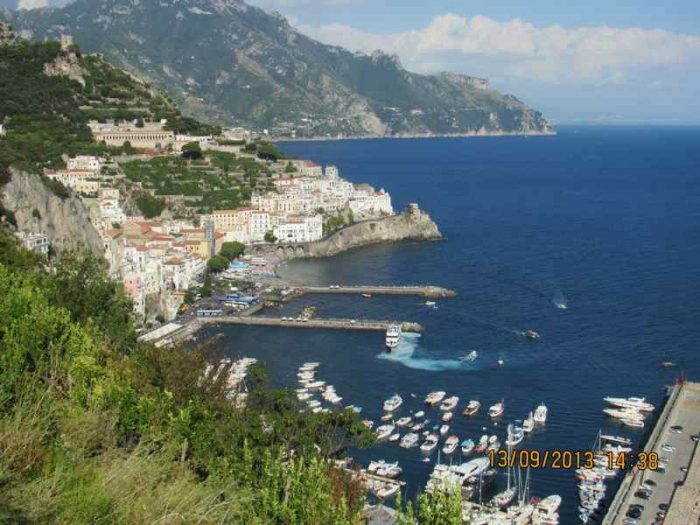 This takes you across a high limestone plateau with magnificent views towards the rugged coastline below. Finally descend through more woodland where wild goats graze, to Valldemossa and the bus back to Soller. By bus to the Cuber Lake situated in the heart of the Tramuntana mountain range, an area rich in birdlife where ospreys and red-footed falcons circle high on the thermals. Walk around the lake, enjoying its serenity and beauty, watching the occasional trout leap out of deep blue water. A gentle rise up through pine woods towards the Coll de L’Ofre at 875 metres with spectacular views of the lake glistening in the distance below, the imposing slopes of Puig Major towering above. No visit to Majorca is complete without visiting Palma, its vibrant and cosmopolitan capital. Take the old wooden train that rattles ‘wild-west’ style along its narrow-gauge track. The train retains its original character, the journey through orange, almond and olive groves remaining virtually unchanged since its inception in 1912. Palma, a beautiful Mediterranean city, is full of architectural and cultural delights. Our notes will guide you on an optional tour to give you a taste of Palma’s varied and cosmopolitan character, bringing in elements of past and present. After an authentic Spanish lunch at a favourite tapas bar, you can spend the afternoon visiting the spectacular Cathedral, a Gothic masterpiece, Es Baluard Museum, Renaissance city walls, Bellver Castle, or of course, simply shopping! 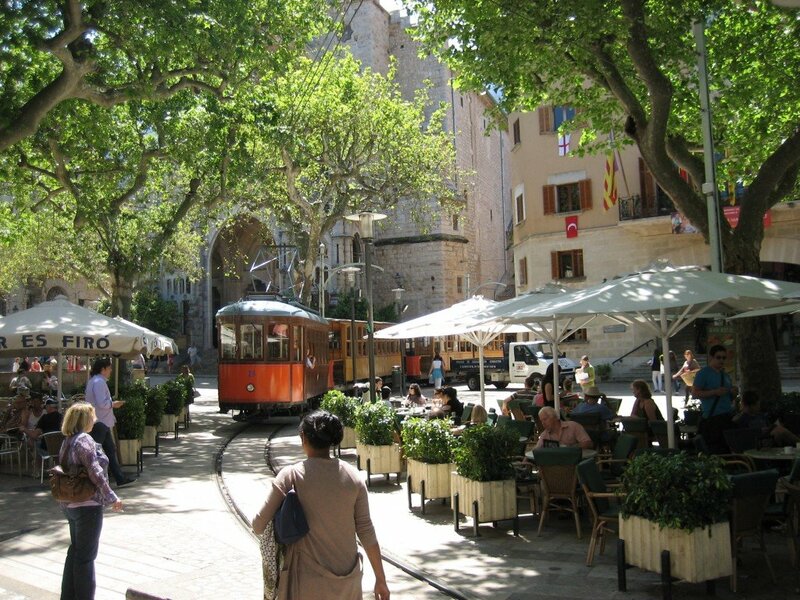 Return to Soller by train or bus. Today’s walk is a fitting end to this most scenic of walking holidays. The route takes you high above the sea, displaying the entire scope and beauty of this wild, deeply indented coastal landscape with its many bays and capes. From the viewpoint at the Mirador the route wanders through a wonderful terraced valley of ancient olive trees, almond groves and bubbling springs. Stop for a rest and a freshly squeezed orange juice in idyllic surroundings before climbing up out of the valley to the Coll de Biniamar. Further spectacular views await you as you wind your way above an azure sea. Depart Soller for return flight from Palma. 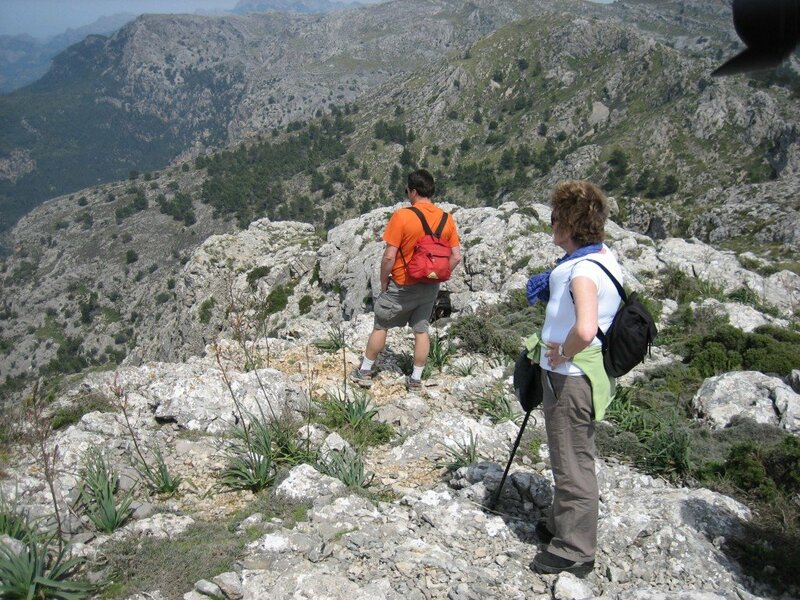 Stay in Sóller which is easily accessible from Palma, 45 minutes by bus, a little longer by rail. It is idyllically situated amongst orange groves with easy access to the sea and varied mountain countryside, an ideal base for a walking holiday. The Ca’l Bisbe, in Soller, is a 4-star hotel in a refurbished former bishop’s palace, with beamed ceilings, pool, walled garden surrounded by mountains, jacuzzi and sauna. Although authentic in character, the hotel offers modern-day comforts and very friendly staff. The Ca'l Bisbe has a good restaurant and it's very pleasant dining out under the stars. If you prefer a B&B, we highly recommend Casa Bougainvillea, a renovated traditional townhouse with eight guest bedrooms in one of Soller's most attractive streets, just minutes from the centre. 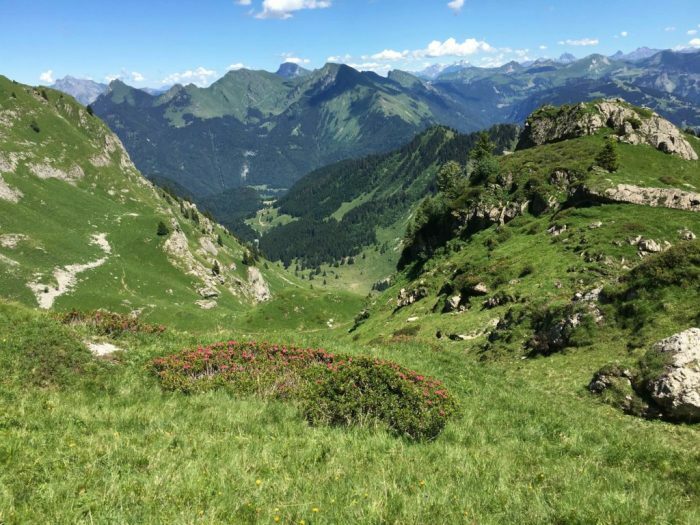 The routes are suitable for anyone of average fitness, able to walk between 5 and 9 miles (7 and 14.4 km) on varied terrain for up to 6 hours with a break for lunch and optional breaks for reading commentaries along the way. 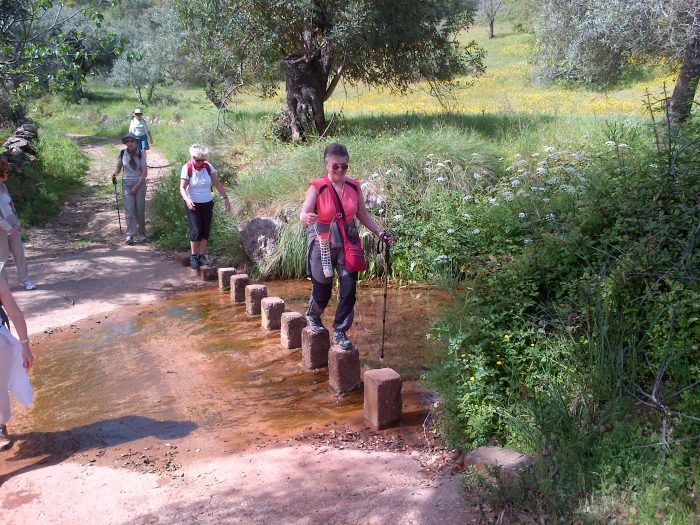 Some of the walks on this holiday are flexible, with options for shortening or lengthening the walks. The paths on some walks are rough with uneven surfaces, so you must have suitable shoes or boots. Expect ascents and descents on most days. Price per person: from £548 per person for 7 nights, depending on season, choice of hotel and room and is based on 2 people sharing a twin/double room. Please enquire for single occupancy rates. Sóller is easily reached by bus from the airport at Palma. Full details are supplied in your walks pack. We are happy to advise on travel options and how to book. All the walks on this holiday start either from your hotel or can be reached easily via the excellent local bus system.